I love Christmas. I always have. 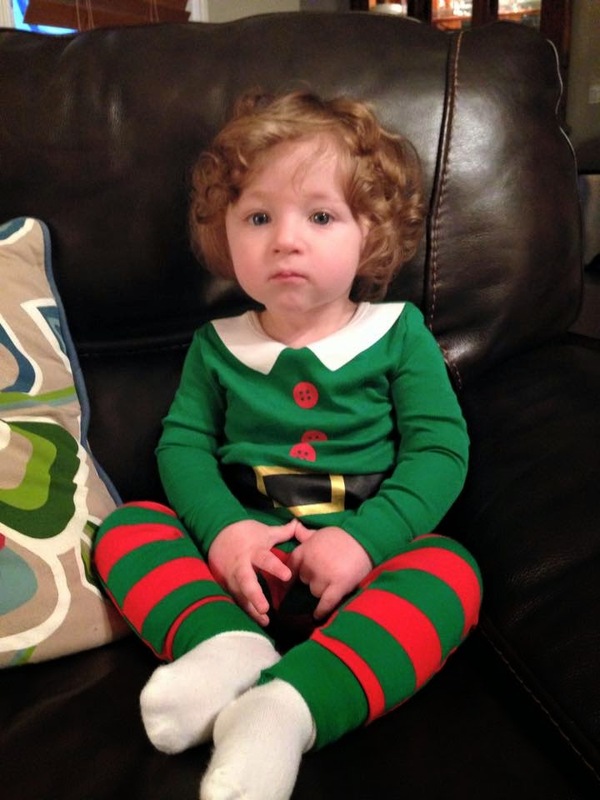 For years, I've looked forward to celebrating this beautiful season with a child in our lives. This year we were blessed with the birth of our little man and having him in our lives has made Christmas even more special. There really is something magical about viewing the holiday through a child's eyes. I may have gone a little Griswold a little early this year. 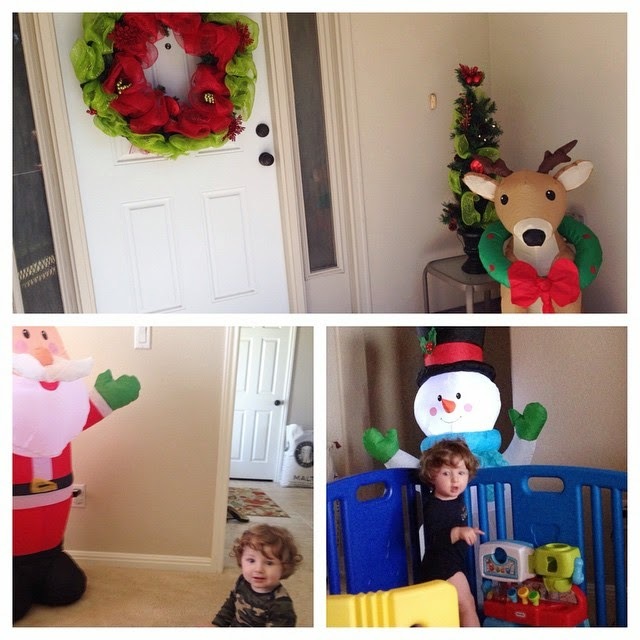 I set up these adorable inflatable Christmas decorations and our tree the day after Halloween. Momma was a little excited. Arlo delighted in seeing the lights and new characters. 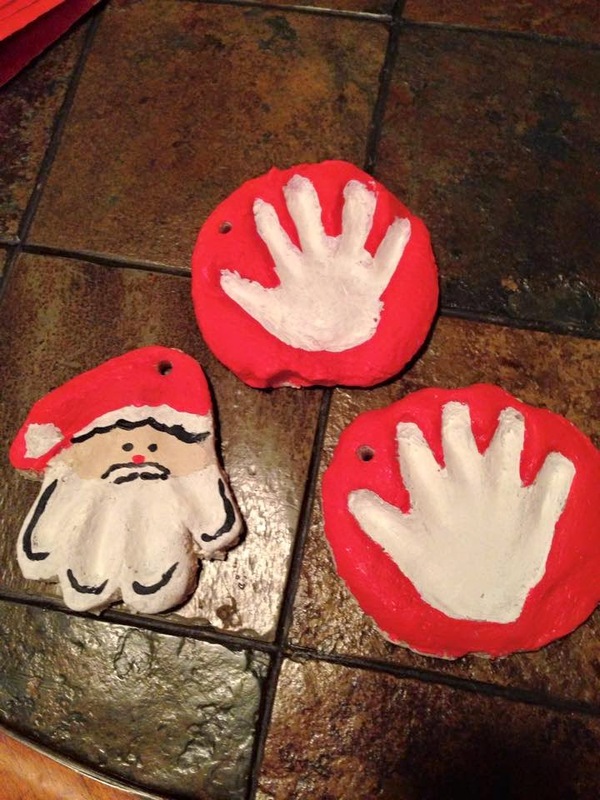 I made some salt dough handprint ornaments to commemorate Arlo's first Christmas using this recipe. I loved how they turned out. 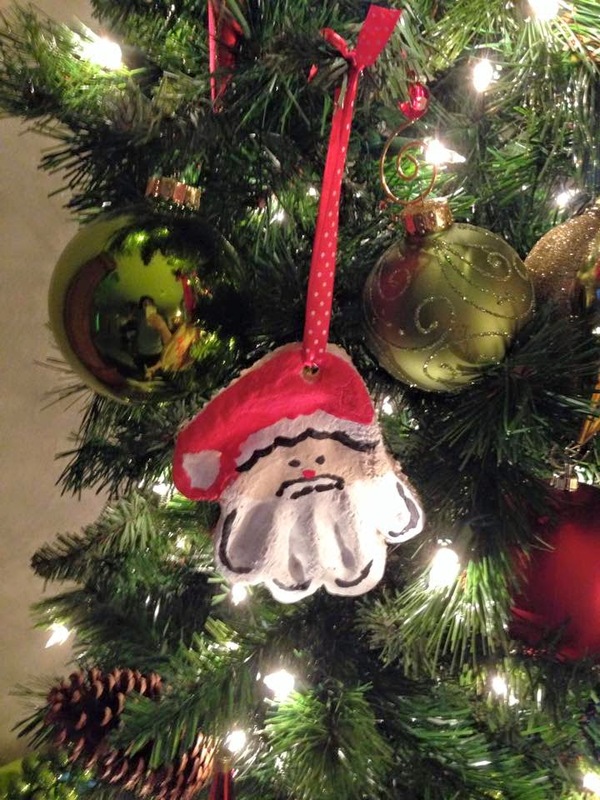 Not perfect, but unique and sweet memories for us to hang on the tree for years to come. Even though he's only 10.5 months old, we wanted to start our family traditions. We read The Night Before Christmas, The Polar Express and Song of the Stars. 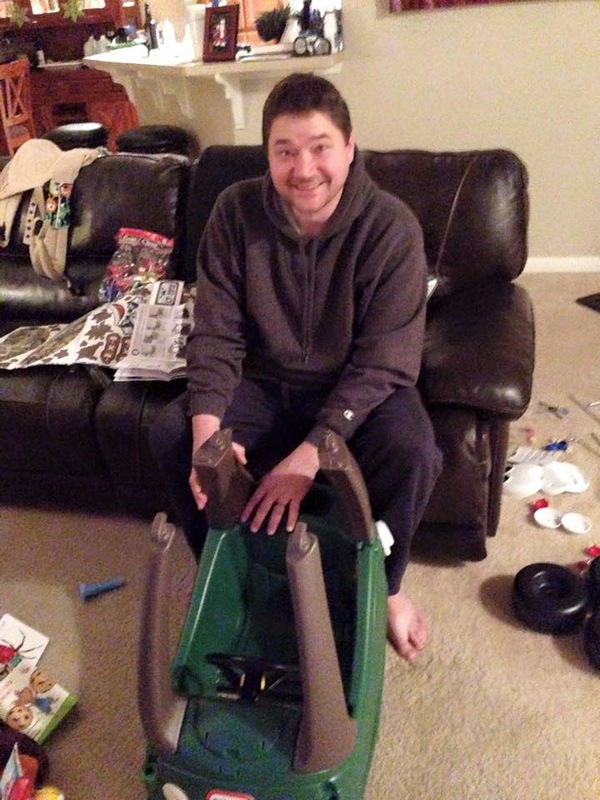 Ken and I watched Christmas Vacation while playing Santa's helpers and assembling Arlo's new toys. Rookie parent mistake, we didn't check our parts until Christmas Eve and were missing some. 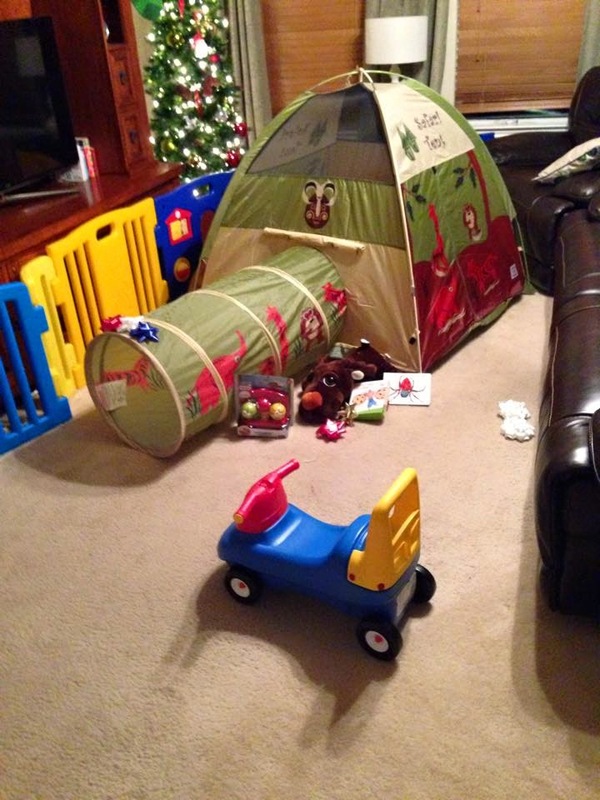 Arlo's new 4x4 Cozy Coupe didn't get assembled until the day after Christmas, but he clearly didn't miss out! We were so thankful to be less than an hour from my parents so after opening gifts at home on Christmas morning we were able to spend the afternoon celebrating with family. I hope your Christmas season was filled with family and fun! What traditions do you and your family celebrate?